For many in the Middle Ages, pilgrimages were seen to represent a clear risk of moral and religious perdition for women, and they were strongly discouraged from making them; this exhortation would have been universally disseminated and generally followed, except, of course, in the case of the virtuous ’extraordinary women’, such as saints and queens. 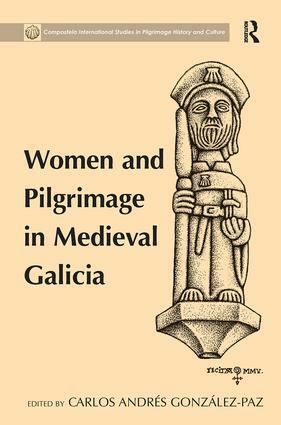 Women and Pilgrimage in Medieval Galicia represents an analysis of the social history of women based on documentary sources and physical evidence, breaking away from literary and historiographical stereotypes, while at the same time contributing to a critical assessment of the myth that medieval women were kept hidden away from the world. As the chapters here show, women - and not only those ’extraordinary women’, but also women from other social strata - became pilgrims and travelled the paths that led from their homes to the most important Christian shrines, especially - although not exclusively - Jerusalem, Rome and Santiago de Compostela. It can be seen that medieval women were actively involved in this ritualistic expression of devotion, piety, sacrifice or penitence. This situation is thoroughly documented in this multidisciplinary book, with emphasis both on the pilgrimages abroad from Galicia and on the pilgrimages to the shrine of St James at Compostela. Carlos Andrés GonzÃ¡lez-Paz is a researcher at the Instituto de Estudios Gallegos 'Padre Sarmiento', a R&D centre of the Spanish National Research Council (CSIC), located in Santiago de Compostela, Spain.